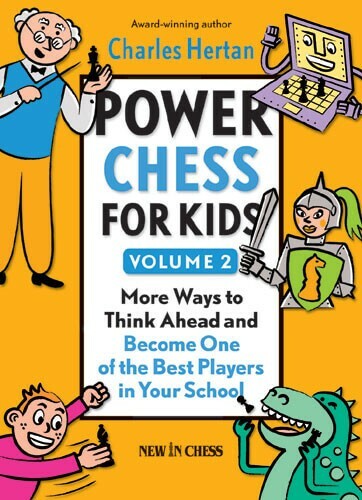 For kids who love to amaze their friends with their chess skills, Charles Hertan presents new ways to find Power Moves, winning tactics that require thinking ahead. In Volume 2, the four special teachers get a new colleague! Knelly the Knight arrives on the scene and will assists Zort (a computer from outer space), the Dinosaurs, the Power Chess Kids and the Chess Professor. Together they will help you to become a very dangerous chess player. Power Chess for Kids is the most complete, practical and fun kids guide ever on learning how to win games. Forget about studying openings and endgames, Power Moves will help you to beat your opponents in all stages of the game!